I'm proud to be Rabbi of this great Muswell Hill community. I was brought up in Edinburgh, attending George Watsons College and being involved in various Jewish youth groups. I studied for a BSc and MSc in Econometrics in the LSE and was Chair of my Jewish Society while in my first year. After University I studied in yeshivot in Israel for 7 years before receiving semicha and joining the Rabbinate. My first Synagogue post was in Kingston Synagogue where I spent five years developing a more vibrant community. While in Israel learning in yeshiva, I was asked to teach and lead services in Poland where I met my wife to be Elisheva. 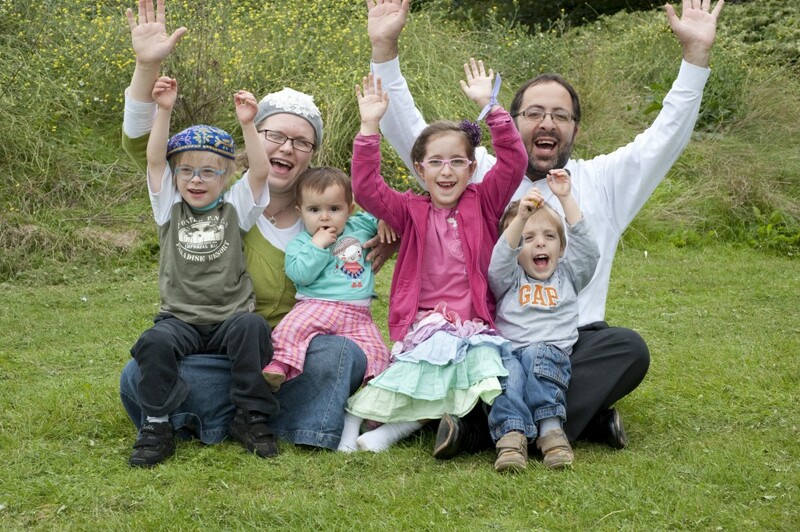 We are now lucky enough to have four beautiful children, Hodaya (9), Netanel (8), Akiva (5) and Amalya (2). I represented Chief Rabbi Sacks on issues of international aid and debt and have studied for two years course in Systemic and Family therapy. I am an avid Arsenal fan getting to matches when I can fit it in, I also like to read history when I have time, enjoy a whisky and of course love to be able to fit in time learning Torah.